Martin Johnson's England travel to Perth on Saturday to take on old foes Australia in their latest Cook Cup showdown, having fallen to Robbie Deans' men 18-9 in November. England and Australia have faced each other in two Rugby World Cup finals (1991 and 2003), with one victory apiece, and share a rivalry that dates back to their first meeting in Blackheath on January 9, 1909. Australia hold the all-time advantage with 22 victories to England's 14 with the two sides also battling to a memorbale 15-15 draw at Twickenham in 1997. England's biggest margin of victory over Australia is 17 points - they won 20-3 in 1973 and 23-6 in 1976, both at Twickenham. 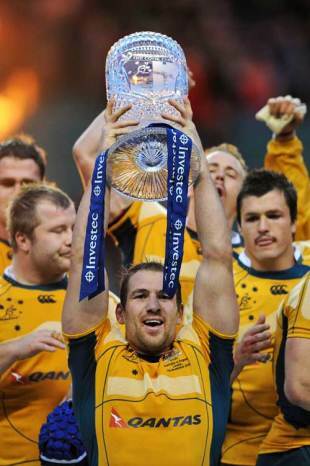 Australia biggest victory was 76-0 in Brisbane on England's 'Tour from Hell' in 1998.